Cleaner, faster PCs for your business. installed on multiple end points. 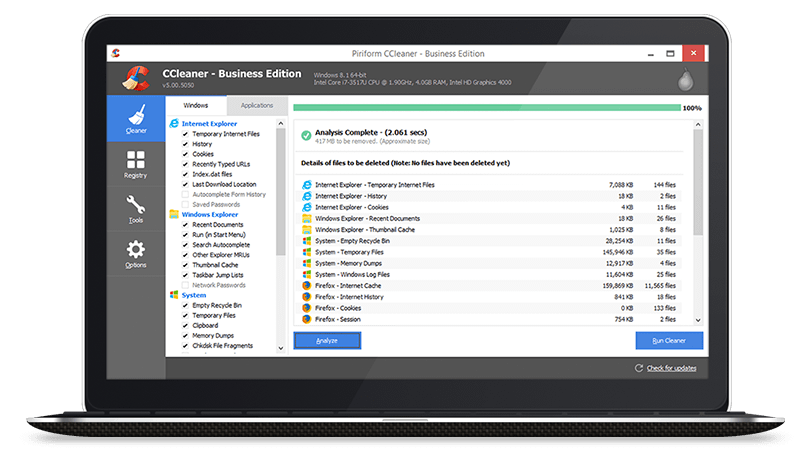 Free Trial Get CCleaner Business! Get CCleaner Business! CCleaner speeds up computers, frees up hard disk space, and extends the life of your hardware estate. Save on IT support costs with proactively optimized PCs. Keep your company's data private and prevent data theft. CCleaner securely erases files, tracking cookies, browser history, passwords and sensitive files. Which version of CCleaner is right for your business?